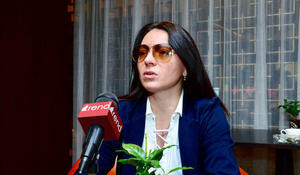 “I express my gratitude to the leadership of the Azerbaijan Gymnastics Federation, because without the support and trust of our leadership, we would never have achieved such a result,” head coach of the Azerbaijani national rhythmic gymnastics team Mariana Vasileva told Trend on April 21. 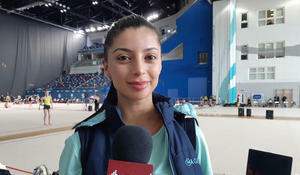 Azerbaijani gymnast Arzu Jalilova who grabbed bronze at the AGF 2nd Junior Trophy in Rhythmic Gymnastics in exercises with a rope is happy with her performance, she told Trend. The ceremony of awarding winners of the AGF 2nd Junior Trophy in Rhythmic Gymnastics in group exercises with five ribbons and five hoops among teams was held at the National Gymnastics Arena in Baku on April 21, Trend reports. The Azerbaijani team grabbed silver medal in the group exercises with five ribbons scoring 18.350 points during the AGF 2nd Junior Trophy in Rhythmic Gymnastics, Trend reports. Azerbaijani gymnast Narmina Samadova, who won a silver medal in the exercises with a ribbon and a bronze medal in the exercises with a ball during the AGF 2nd Junior Trophy in Rhythmic Gymnastics, was pleased with the results of her performance at the tournament. 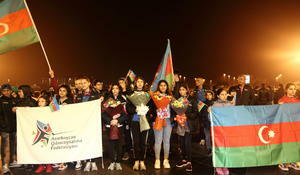 The ceremony of awarding winners of the AGF 2nd Junior Trophy in Rhythmic Gymnastics in exercises with a rope, ball, clubs and ribbon was held at the National Gymnastics Arena in Baku on April 21, Trend reports. 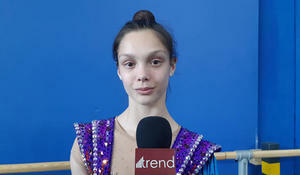 Azerbaijani gymnast Narmina Samadova ranked second in exercises with a ribbon scoring 18.000 points during the AGF 2nd Junior Trophy in Rhythmic Gymnastics, Trend reports. The final competitions of the AGF 2nd Junior Trophy in Rhythmic Gymnastics are underway in the National Gymnastics Arena in Baku, Trend reports. 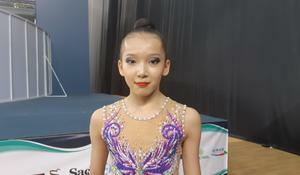 Italian gymnast Sofia Raffaelli ranked first in exercises with clubs scoring 19.200 points during the AGF 2nd Junior Trophy in Rhythmic Gymnastics, Trend reports. Azerbaijani gymnast Arzu Jalilova won "bronze" in exercises with a rope scoring 17.350 points during the AGF 2nd Junior Trophy in Rhythmic Gymnastics, Trend reports. 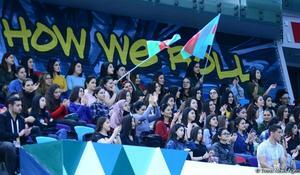 The second day of the AGF 2nd Junior Trophy in Rhythmic Gymnastics tournament kicked off on April 21 at the National Gymnastics Arena in Baku, Trend reports. Azerbaijani gymnasts Arzu Jalilova and Narmina Samadova have reached finals of the AGF 2nd Junior Trophy in Rhythmic Gymnastics in ball exercises, Trend reports. 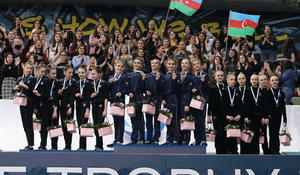 The ceremony of awarding winners and prize-winners of the AGF 2nd Junior Trophy in Rhythmic Gymnastics in individual all-around took place at the National Gymnastics Arena in Baku, Trend reports. Strong gymnasts from different countries will participate in the AGF 2nd Junior Trophy in Rhythmic Gymnastics in Baku, coach of the Italian national gymnastics team Julieta Cantaluppi told Trend on April 19. The AGF 2nd Junior Trophy in Rhythmic Gymnastics tournament has been opened on April 20 at the National Gymnastics Arena in Baku, Trend reports. 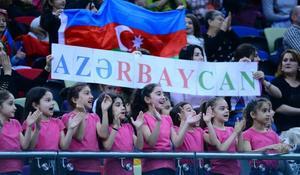 Azerbaijan is hosting a major sport project titled "Youth Cup. 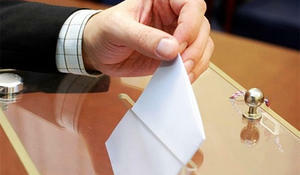 April victory", organized by Ireli Public Union and the Youth Foundation. 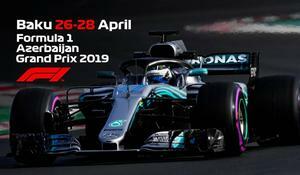 Ninety media representatives from Azerbaijan passed accreditation to cover the Formula 1 Azerbaijan Grand Prix, Trend reports April 19. 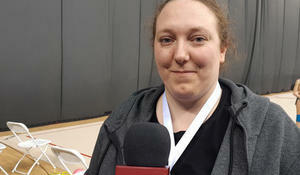 It is very comfortable to perform in the National Gymnastics Arena of Baku, Israeli gymnast Diana Svertsova participating in the AGF 2nd Junior Trophy in Rhythmic Gymnastics in Baku told Trend. 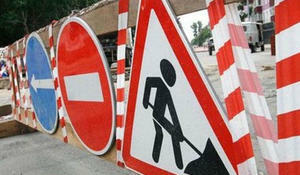 Interest in the Formula 1 races, one of the most significant events of the motorsport, increases with each passing year. 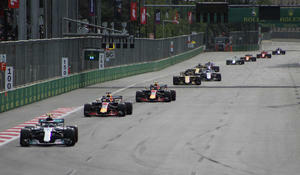 Both Baku residents and foreign guests eagerly wait for the coming races. 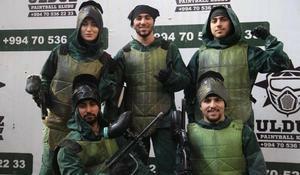 Azerbaijani sportsmen came back to homeland from the Cadet and Junior World Fencing Championships, which was held in Poland, Torun city.